with Betsy Thorpe and contributions by Nga Hong Brereton, M.S., R.D., I.B.C.L.C. Copyright ® 2004 by Mackenzie Walser, M.D., and Betsy Thorpe. All rights reserved. No part of this publication may be reproduced, stored in a retrieval system, or transmitted in any form or by any means, electronic, mechanical, photocopying, recording, scanning, or otherwise, except as permitted under Section 107 or 108 of the 1976 United States Copyright Act, without either the prior written permission of the Publisher, or authorization through payment of the appropriate per-copy fee to the Copyright Clearance Center, 222 Rosewood Drive, Danvers, MA 01923, (978) 750-8400, fax (978) 646-8600, or on the web at www.copyright.com. Requests to the Publisher for permission should be addressed to the Permissions Department, John Wiley & Sons, Inc., 111 River Street, Hoboken, NJ 07030, (201) 748-6011, fax (201) 748-6008. Limit of Liability/Disclaimer of Warranty: The information contained in this book is not intended to serve as a replacement for professional medical advice. Any use of the information in this book is at the reader's discretion. The author and publisher specifically disclaim any and all liability arising directly or indirectly from the use or application of any information contained in this book. A health care professional should be consulted regarding your specific situation. For general information about our other projects and services, please contact our Customer Care Department within the United States at (800) 762-2974, outside the United States at (317) 572-3993, or fax (317) 572-4002. Wiley also publishes books in a variety of electronic formats. Some content that appears in print may not be available in electronic books. For more information about Wiley products, visit our web site at www.wiley.com. 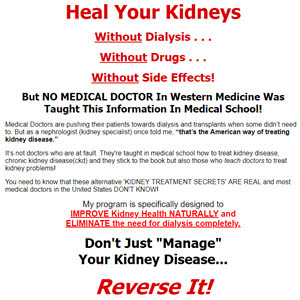 Coping with kidney disease: a 12-step treatment program to help you avoid dialysis/ Mackenzie Walser, with Betsy Thorpe, and contributions by Nga Hong Brereton. p.cm. Horace Lysenko, a 54-year-old self-employed art consultant, was referred to me four years ago with the following history: One year before, he had developed severe kidney failure caused by obstruction from an enlarged prostate. The prostate gland, which surrounds the urethra, frequently becomes enlarged in older men, obstructing the flow of urine from the bladder. Following surgical relief of the obstruction, his kidney function was only partially restored: Two-thirds of his kidneys had been destroyed by the increased back pressure from his bladder. His kidney function was measured at one-quarter of normal. He was placed on a very-low-protein diet, supplemented by essential amino acids—the treatment outlined in this book. In the ensuing five years, his kidney function has actually improved somewhat. Despite severe damage to his kidneys, he remains free of symptoms and may never go on dialysis.